Mrs. ReaderPants: Genrefying Library #2! Whoohoo! I have just completed my second library genrefication project! My first project was in a middle school library in Fort Worth, Texas. This time, I have genrefied my new middle and high school library in Suzhou, China. Simply put, genrefication is the act of labeling library books according to genre. When I talk about genrefication, I am only referring to genrefying my mega-sized Fiction section. With only two exceptions (mythology and short stories), I have left the Dewey sections of my library intact. Label only--This is where books have genre labels but are still located in their traditional alpha-by-author Fiction section. Label and section--This takes genrefication one step further. Librarians label the spine by genre and also dissolve the fiction section altogether, opting instead to create genre sections. Personally, I think it is best to label your genres with color or pictorial spine labels AND relocate the books into genre sections. Before I did my first full fiction genrefication in 2011, I had labeled books using pictorial spine stickers I created myself. I did this for about a year and noticed only a slight increase in circulation and library use among students. It was only when I moved the books into color-coded genre sections that I really saw a spike in our circulation statistics. 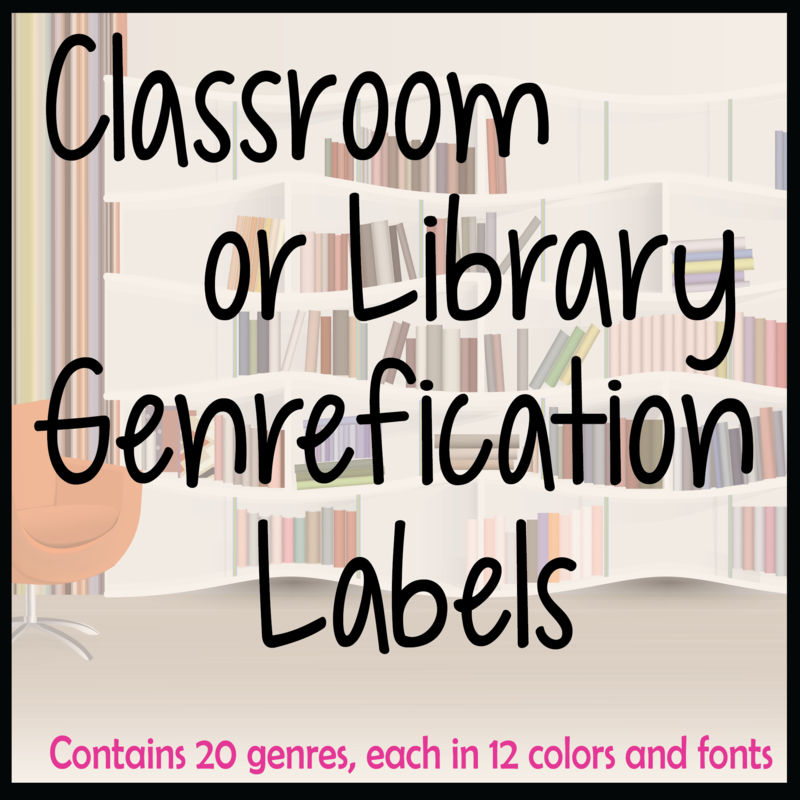 Labeling alone will help make the library more user-friendly, but creating genre sections will go much farther to maximize benefits for your patrons. Right from the start, students loved the changes in the library, saying it was easier to find the books they liked. At the end of each school year, I always had a few students tell me that they were sad to move up to the high school library because it wasn’t genrefied. While they knew how to use the online library catalog, it just wasn’t the same as having all the historical fiction novels you love right in front of you in one place.